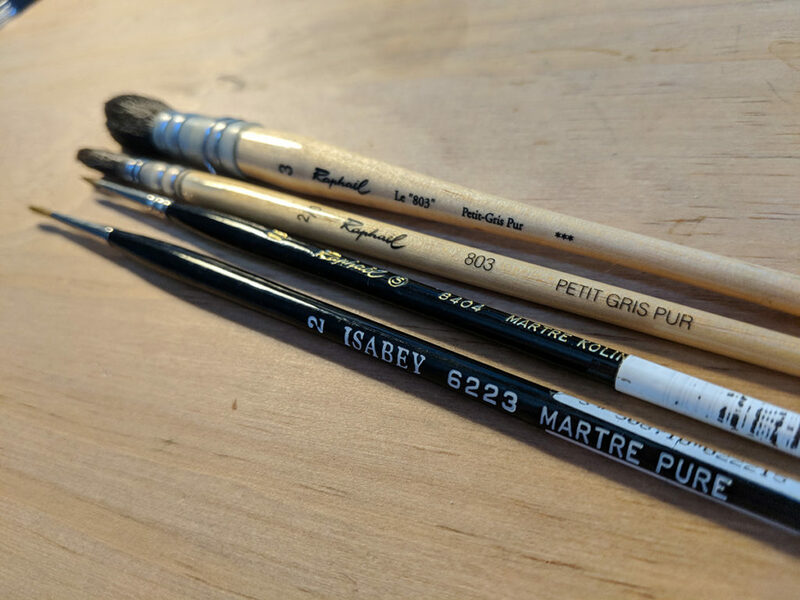 First of all, you should know that the question of material, whether for watercolour or digital painting, is never essential, drawing abilities are. Your everyday work, practice, and time will come to build on your ability to make great pictures. The evolution and achievements of an artist spread over a lifetime. I will describe my tools in this article. The digital drawings are very often made from a paper or digital sketch and then put in color on Adobe Photoshop. 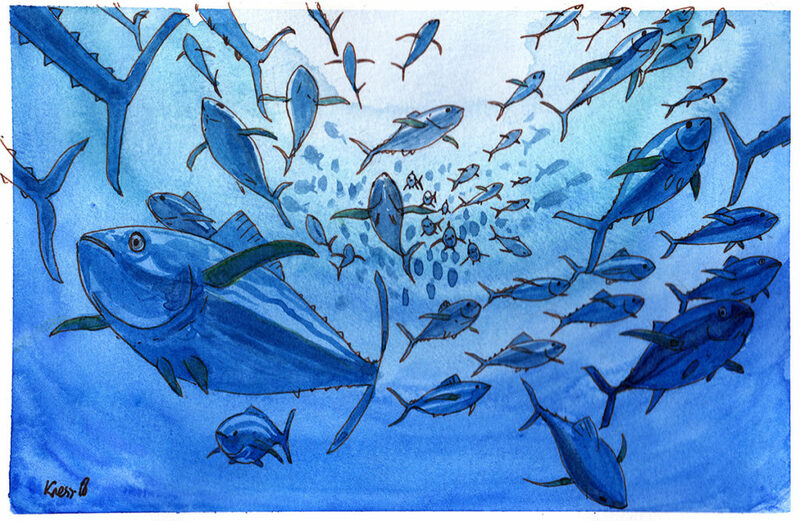 The natural media drawings are made with ink and watercolour, often over a penciled rough sketch. For watercolor I often test new combinations. 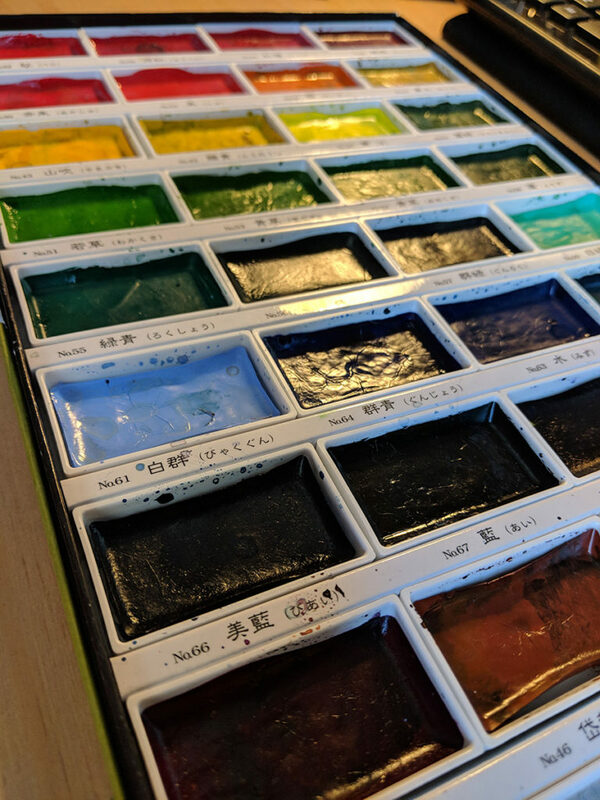 I like the opaque and very saturated Kuretake Picture Letter Gansai Tanbi, 36 Color Set (MC20/36V ) , these are not the easiest to use but the colors are really intense! I also like the transparent watercolours of Daler Rowney, I had a hard time buiding my set starting from scratch. I would advise you to start with a premade set and adjust it if you miss some colours. 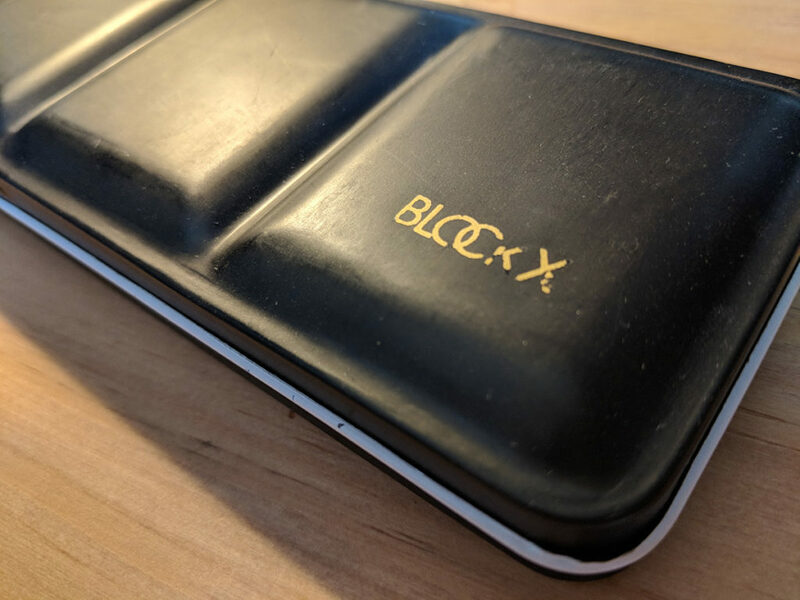 I tested the well known and recommended european brand BlockX. It is not the set I am most comfortable with. Especially since its price is rather high – and they are not available as a set on amazon.com. I was lucky to find this second hand set though. It might be worth a try if you come across a good opportunity. 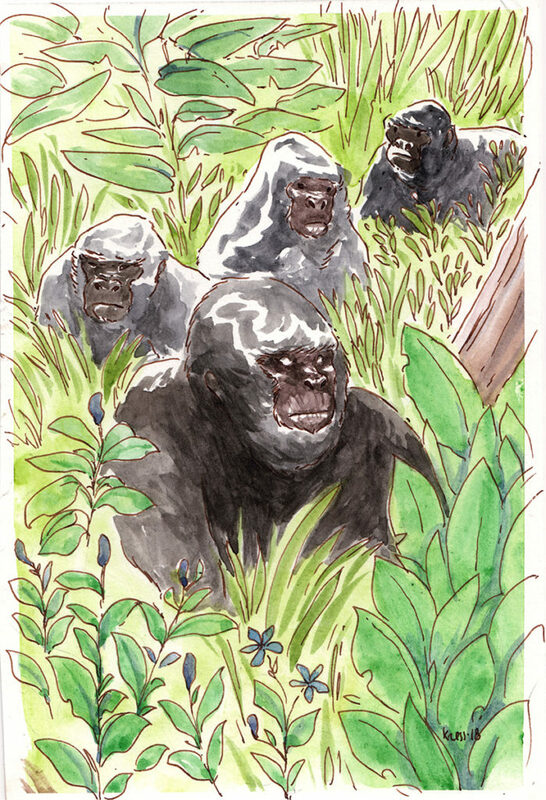 Gorillas made with the watercolors Daler Rowney. 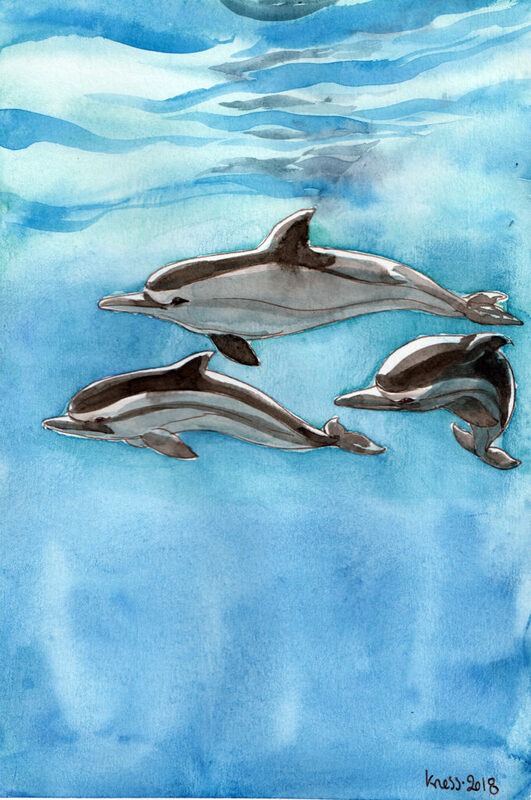 I have a preference for the Raphael watercolor brushes. The biggest for the large backgrounds and the small ones for the details. These are expensive but well worth the money spent. 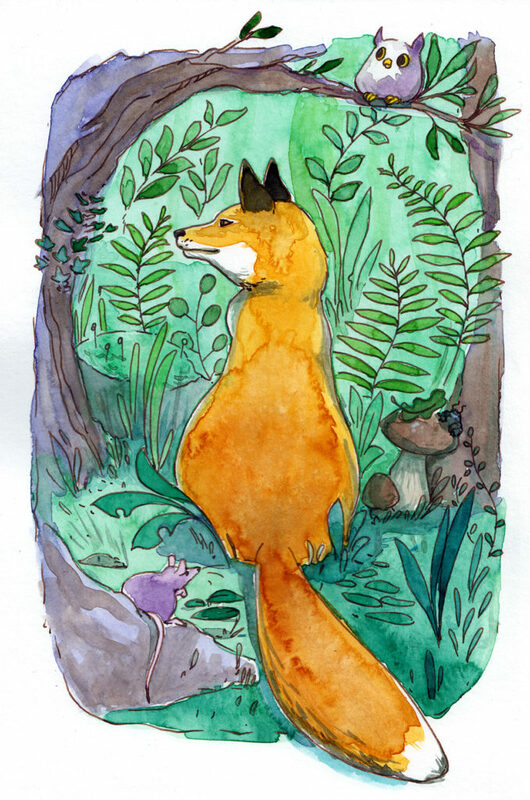 I also tested a cheap – $7 – synthetic watercolor brush set that is rather effective. It has the advantage of being quite rigid, it does not deform easily. 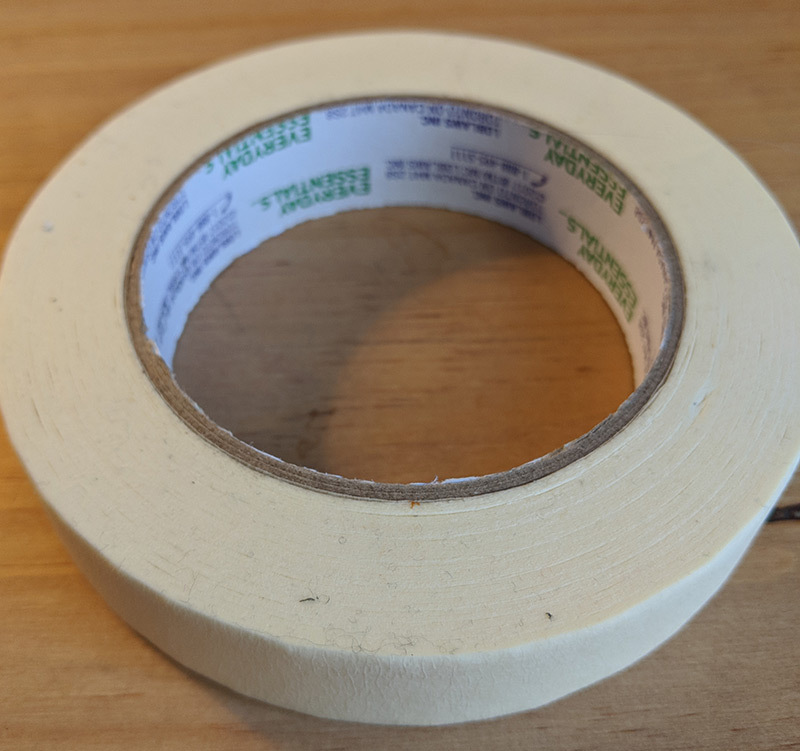 On the other hand, it retains little water and some of the brushes were poorly arranged, I had to cut a few hairs-but for the price it’s ok.
To fix my sheet on the desk and prevent it from shifting and deforming with the use of water, I use plain paper masking tape. 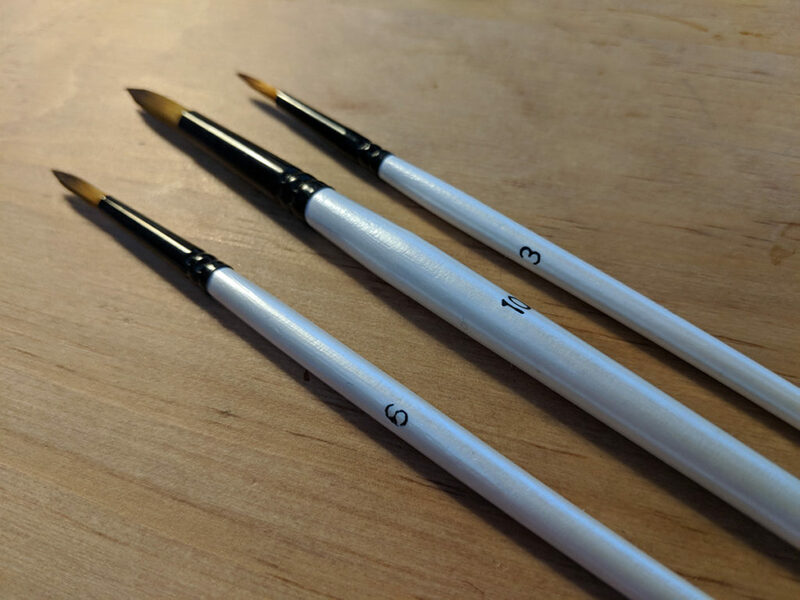 To prepare the white areas or to delimit the subjects on a plain background, I use the drawing gum in a tube with a small applicator: it saves me from ruining a brush for this use. 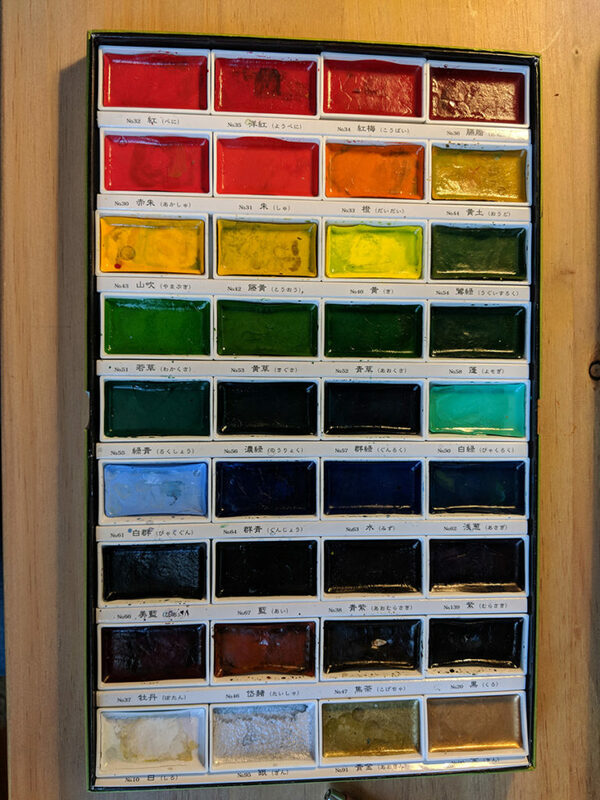 I prefer it blue, it still shows after drying. 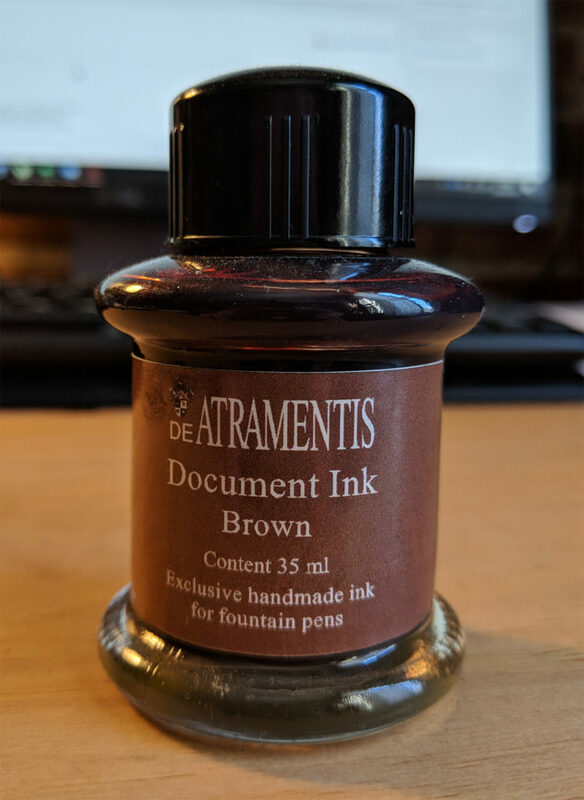 To ink without the line drooling or dissolving in water, I use DeAtramentis waterproof document ink. 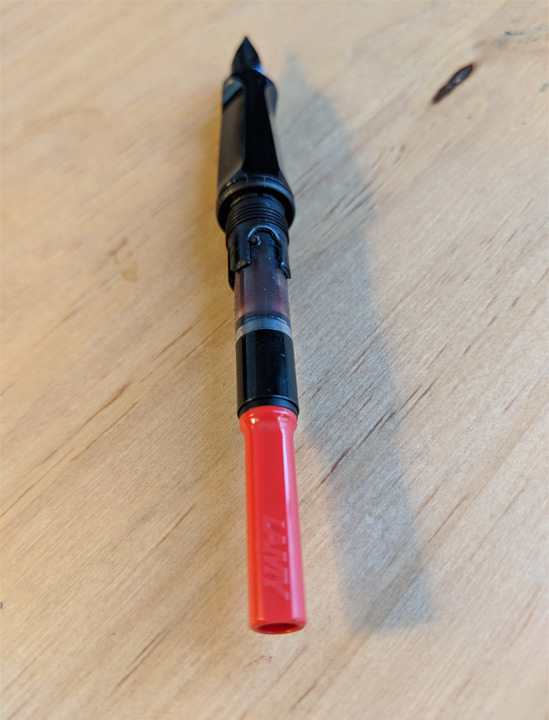 It is made especially for fountain pens. I have a black one and a brown, I prefer the brown that is softer under the watercolor bright and subtle shades. 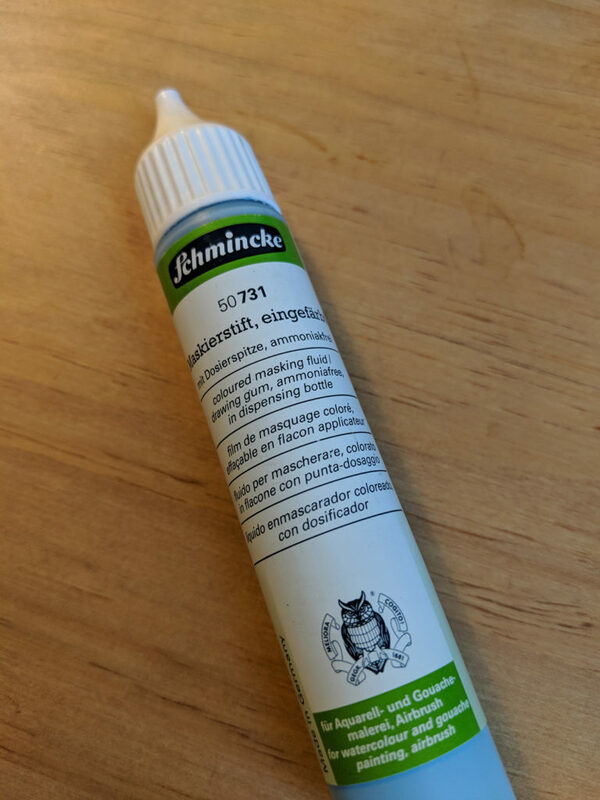 Unlike many artists I do not use a kneaded eraser that I find tedious in the long run, it always ends badly ^^ so I chose a standard natural eraser. Any brand will do, I just don’t like the plastic ones. 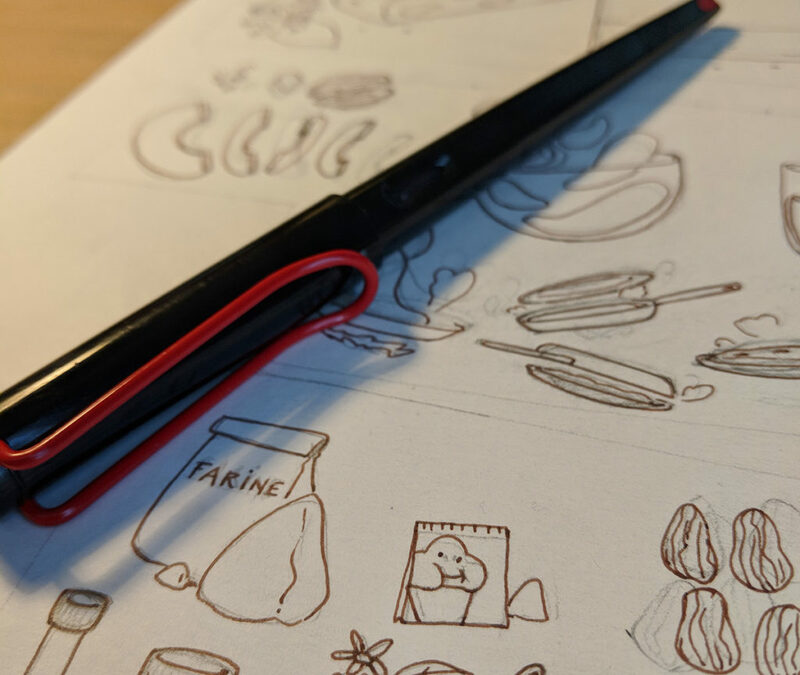 I draw with a mechanical pencil and HB leads, all brands do the trick. I tried blue leads but they are too fragile for me and I break them every 5 seconds. 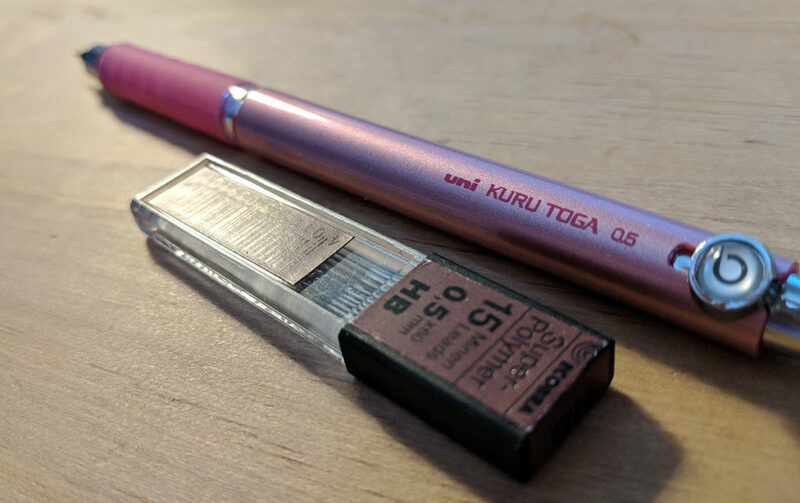 On the other hand I tested many mechanical pencils and I fell in love with the Uni Kuru Toga 0.5– Pink. Why Pink ? 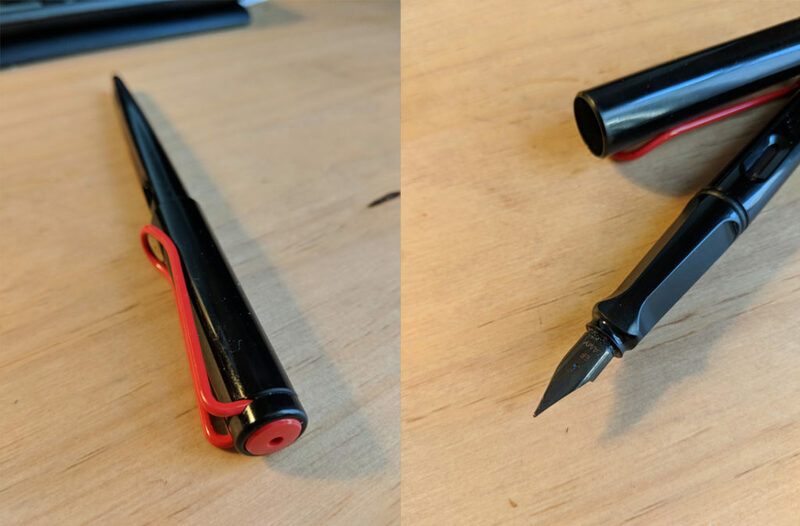 Because if you take all your pens and pencils in black you are more likely to lose them it in your bags, on the floor, on a table. While my candy pink pencil is really hard to miss even on a messy desk 🙂 There are Disney series for fans, silver, blue, and other lead diameters available. I often test new papers. 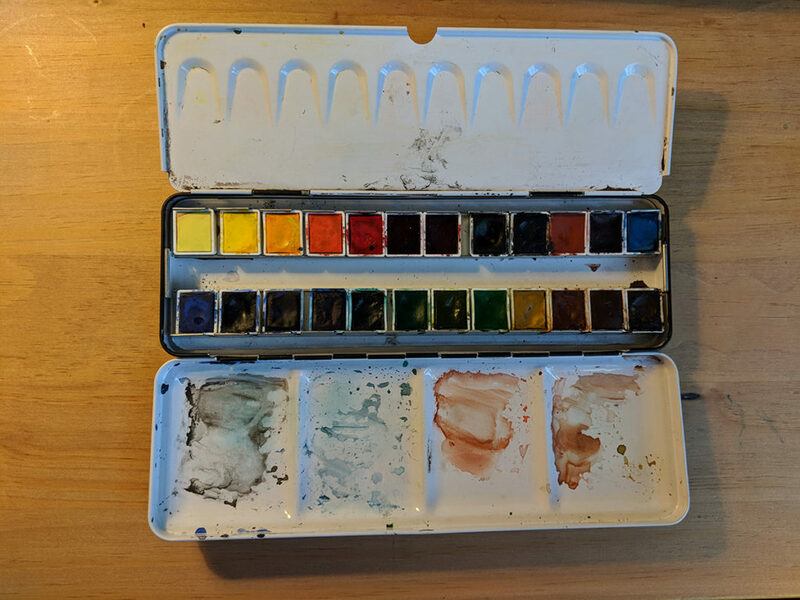 I don’t like the rough texture of the classic watercolor papers so very often I use the “bad” side of the paper, it’s smoother. 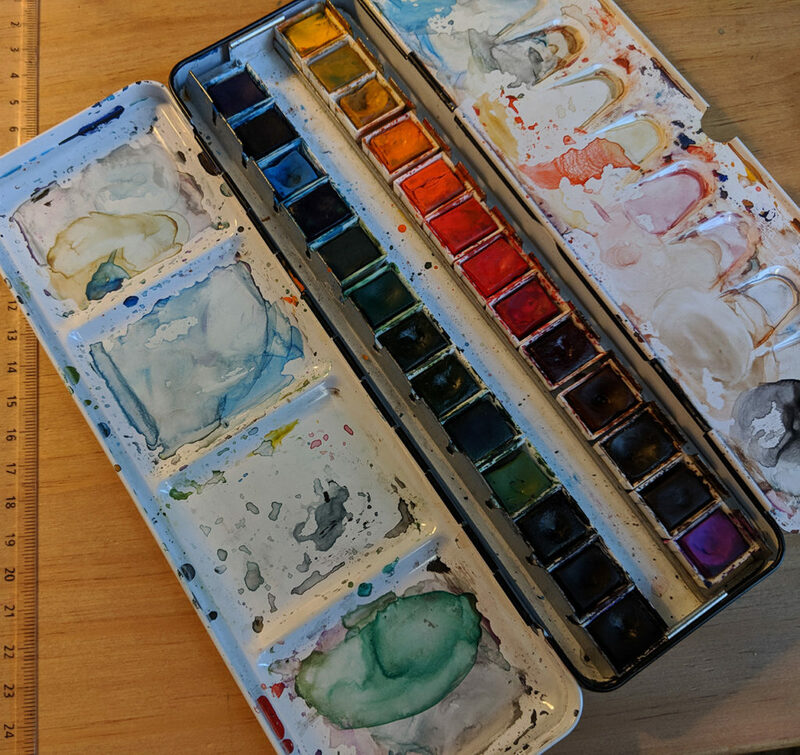 Right now I alternate between the Canson watercolor, on the b sides of the sheets, and the Canson Bristol recycled paper, smoother but lighter. It tends to deform a little more. I also use many notebooks that are not made for watercolour and thus are badly treated 😀 I use them mainly for tests or quick renderings. And sketching of course. 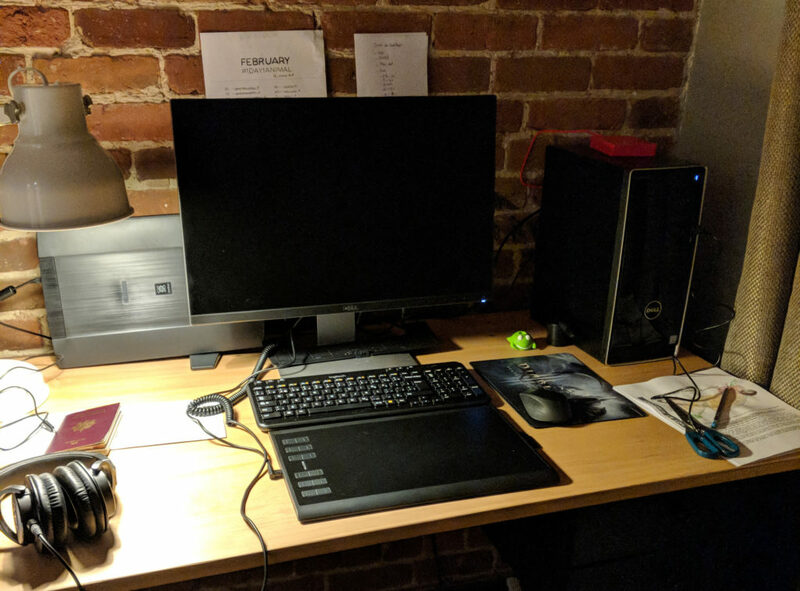 I have 2 computers, a desktop and a laptop. I worked several years a long time on MAC but the prices are ridiculously high now, and I like to change hardware regularly. The configuration details of the computers do not have much interest because it changes every morning. I recently moved from an old Wacom Intuos tablet to a Huion tablet. I’m working on an A5 / Medium size. It’s a very personal choice (small hands + need to transport in a 15 “size PC bag). Both products are similar on many points (size, grip, pressure levels, shortcut keys that I disable XD). 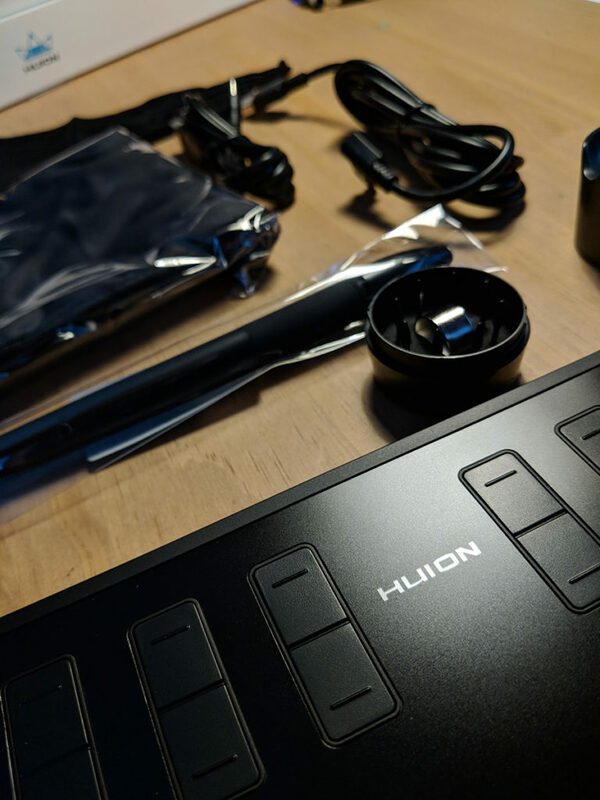 The stylus of Huion needs to be charged but it’s not a big deal. It’s juste one more USB cable. I have not yet charged it in 2 months (little use at this time). 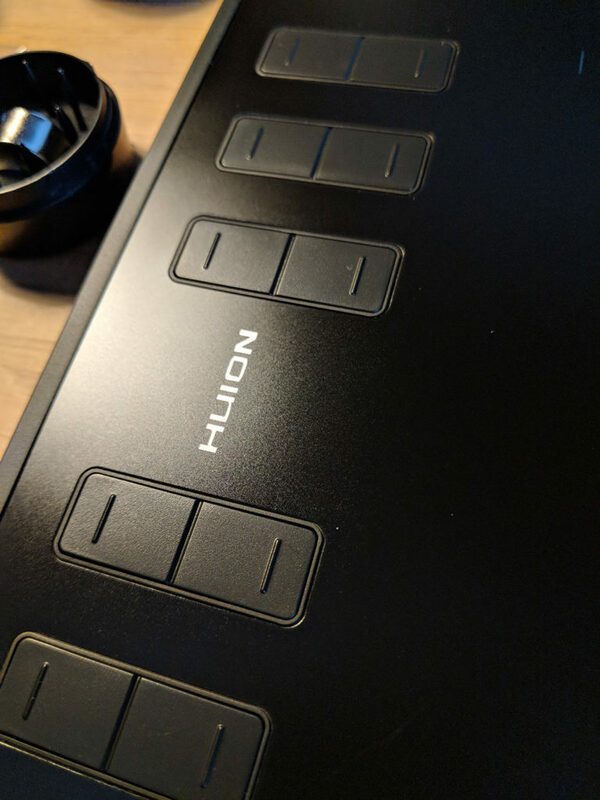 HUION drivers have not yet crashed on my computer while Wacom requires relatively frequent reinstallations and restarts. It saves so much time and worry. I went on WireCutter (if you are looking for the best stuff, it is the best website, it goes from the best trashcan to the best hiking bag to the best TV etc.) and I followed their advice with the DELL u2415 which has the best value for money on the market + a good factory setting. It is likely that I will go double screen soon, as it is more convenient for editing. A keyboard: having moved to Canada I had to get used to the QWERTY keyboard, it took me 10 days to be really fluid. I chose a very compact wireless Logitech (K360) and a nice mouse (M280-Super Ergonomic lightweight practical ♥). A Canon scanner, the not too expensive and efficient Lide 220. Finally I work with a full Adobe subscription that allows me to use Photoshop and Indesign most often, in addition to bridge that comes to fill the problems of preview of some. psd files on Windows. Acrobat is also much more practical in pro version. Remember that if you are a student or teacher you have a special plan that’s $19.99 instead of $49.99, it usually requires a simple statement when you order.